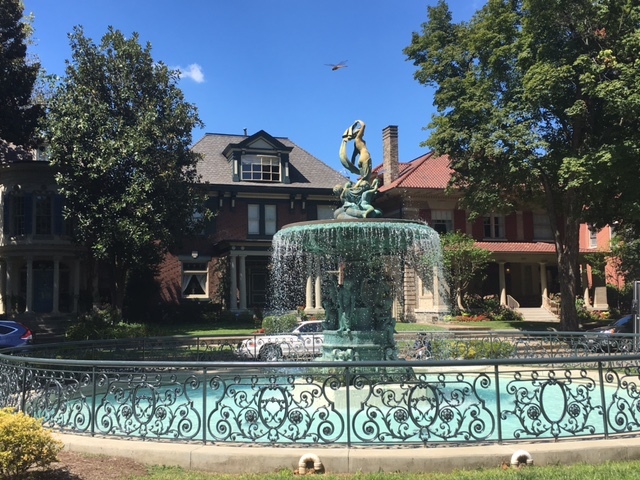 Trip Log – Day 303 – Louisville KY | How Will We Live Tomorrow? 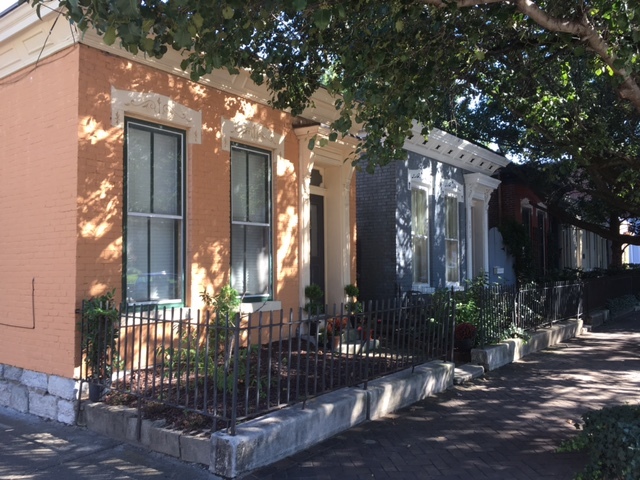 If you arrived in Louisville from the north, you might think it was a Southern city; there are shotgun houses reminiscent of Charleston or New Orleans. 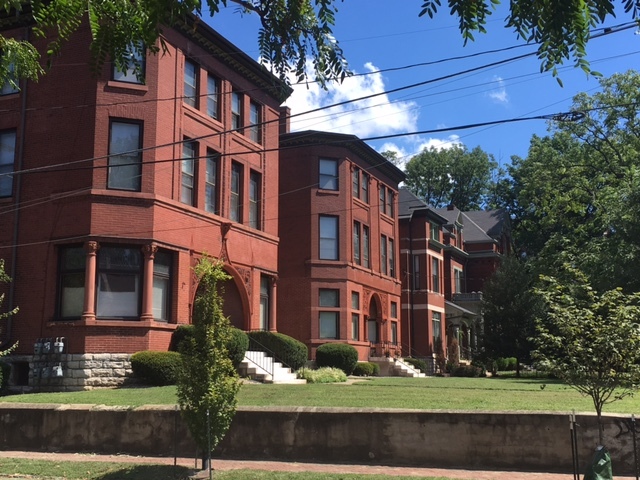 Coming up from the south it feels like my first Northern city, Italianate details you might find in Western New York and solid Denver Squares. Louisville Metro credits itself as the 16th largest city in America, though I couldn’t find a source that agreed with that claim. I would agree it is the San Jose of the East – a swiss cheese city that’s annexed land around and beyond older, usually more affluent, towns. Louisville’s got a lot of square miles, a lot of roads, but not much density. I took a short ride to the west side of town, the other side of the tracks in every respect, then spent the rest of the day touring Old Louisville, downtown and the riverfront. 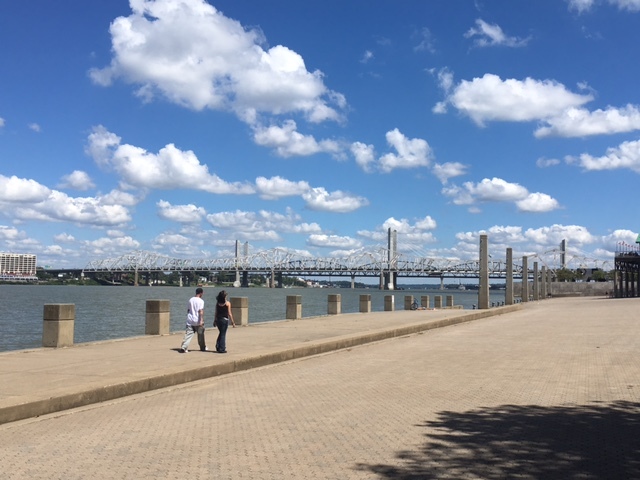 The Ohio River is mighty wide at this city founded on its fall line. Just as Louisville seems suspended between north and south, so too it seems suspended in the early 21st century; neither a boomtown like Nashville, nor a decaying shell like Augusta. One of the few cities I’ve visited that appears to be in stasis, viable without growing pains. I pedaled back to the east side of town and logged a good number of miles without leaving city limits. My second Louisville host lived only a mile from where I stayed the previous night! 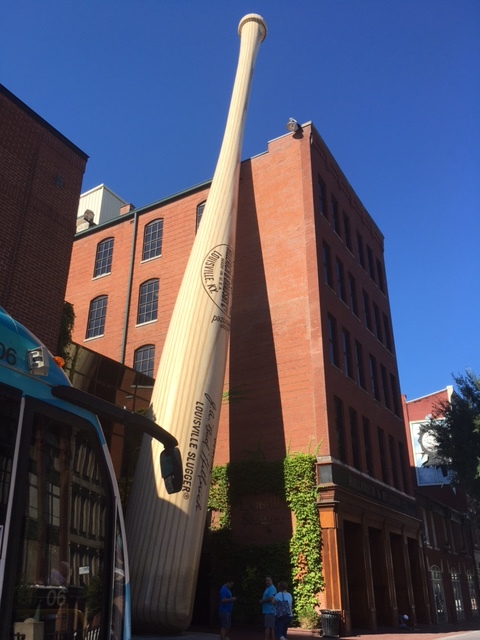 This entry was posted in Bicycle Trip Log and tagged Louisville KY, Louisville Slugger, Old Louisville. Bookmark the permalink. We are not equally adept at using universal tools, either!